Life can be prickly sometimes. We brush up against some uncomfortable edges now and again. Some tongues have razors. Some people are steamrollers. Sometimes it’s just bad luck. We fight. We lie. We cry. We die. It’s a lot for one lifetime. So we duck, we hide, we mask, we fortify. This, sometimes, just to survive. But this, this is coping. It’s not thriving. This is managing, not living. It’s impossible to reach adulthood without some kind of scarring. The tender shoots of our young beings are overly susceptible to hailstorms and drought. And as we mature, we remember the storms and what was left in their wake; we remember the drought and what it meant to be denied that which we needed or wanted. This remembering, when experienced again, becomes a pattern. Like a path well worn, no new life grows there. The weeds grow high along the edges, and forging a new path becomes more challenging, or even frightening. When we again find ourselves at the mercy of the razor or the steamroller, thoughts and impulses, moving at nearly the speed of light, take us to the logical end point. And this end point is protection, guarding, fighting, or hiding. An involuntarily leg kick when the hammer hits the knee. We spend a lifetime shoring ourselves up against the uncomfortable edges. I go numb when you say something unkind. I hide from your vulnerability. I fight back with my razors. I pretend you won’t die. I build a wall around my heart. But there is a way to stay open, even when it hurts. There’s a way to forge new pathways in the heart and mind, even when it’s scary. The fortress went up, brick by brick. And it comes down, brick by brick. With diligence, care, and attention, we are able to disassemble the structures that keep our hearts locked away. It’s been a few years now since I broke through the wall around my heart, since my fortresses were dismantled. I sometimes slip back into coping. 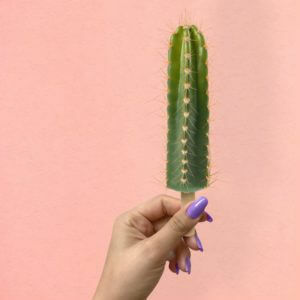 Because life is prickly. I get scared. And I’m just human. But recovery is possible. Recovery from the pains of the past, freedom from the patterns that keep us locked in hide or fight mode. And living free, but vulnerable, is so much easier than living in fortification and isolation. So how do we recover from the pains of the past? We have to understand that nearly every thought we have, nearly every thing we say, nearly every action we take is a pattern that is being repeated from the past. The super computer that is your subconscious mind has catalogued every single experience from your life and has instant recall. Each time you find yourself in a situation that is reminiscent of a past experience, your subconscious (in an attempt to keep you safe always) knows what to expect, and you ultimately find yourself reacting (not responding) in very predictable ways. This is what we call a knee jerk reaction. To break these patterns, to forge a new path (or wire a neural network in your brain), you need to reprogram those subconscious patterns. There are many ways to do this, but I prefer guided meditation and energetic healing (specifically Emotion Code and PSYCH-K®). In order to reprogram these tired old patterns, you need to become aware of them first. And to make the process a little easier, I encourage (nay, demand) my clients develop practices of self-acceptance. It isn’t easy looking at ourselves objectively. We don’t always like who we’ve been. And that’s ok, so long as we remember that who we are underneath the BS is the real us. What patterns are holding you back? Where do you turn up stuck again and again? And are you ready to break free?